Hello and welcome to our live coverage of Bradley Wiggins' attempt to break the UCI Hour Record - the longest distance ridden in one hour on a bicycle. The attempt by the 2012 Tour de France winner, considered one of the most prestigious records in cycling, will start at 6.30pm. Taking place at the Velodrome used for the 2012 Olympics, Wiggins will be attempting to beat the existing record of 52.937km - 32.894mph - which was set by fellow Briton Alex Dowsett at the Manchester Velodrome back in May. Previous holders of the record include Chris Boardman and cycling legend Eddy Merckx. 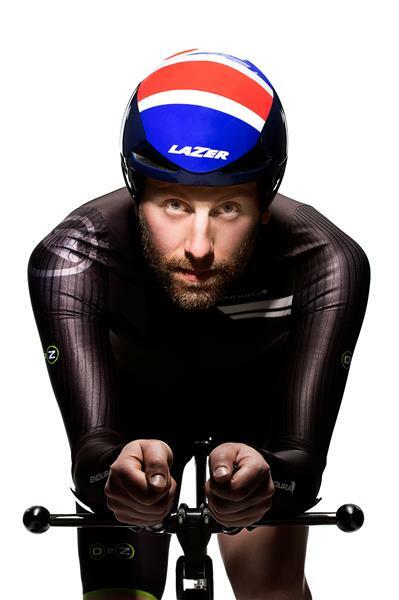 When Sir Bradley Wiggins makes his bid to beat the Hour record on Sunday, if, as expected, he establishes a new maximum distance pedalled in 60 minutes, one immediate knock-on effect will be simple: Wiggins’ place amongst the legends of cycling will be even more strongly guaranteed. Success will also prove yet again, that versatility has been the bedrock of Wiggins greatness. No other rider has been capable both of taking multiple Olympic gold medals on track and road as well as conquering the Tour de France - simultaneously a breakthrough result for Great Britain. On the international stage, Wiggins’ bid to triumph in cycling’s greatest Classic, Paris-Roubaix in 2013 and 2014, broke another massive invisible boundary - given the previous Tour de France champion to participate in Paris-Roubaix was Greg LeMond in 1992. 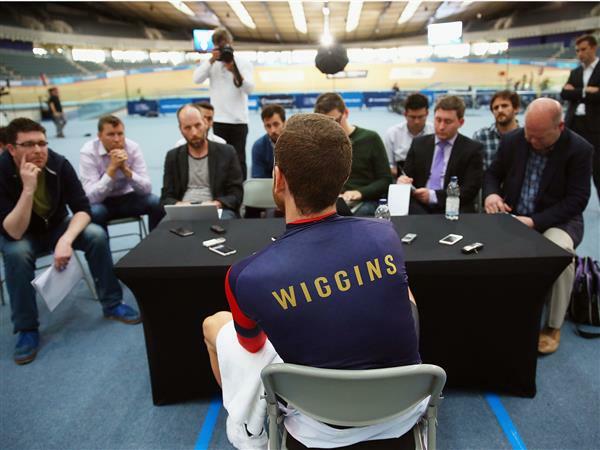 It has reached the point where some of Wiggins’ achievements have been overshadowed by his own successes. It’s almost forgotten, for instance, that in 2012 the Londoner became the first rider, to win Paris-Nice, the Criterium du Dauphine and the Tour of Romandie, three of cycling’s top week-long races, in a single season, and in 2014 he became the first, too, since his own idol, Miguel Indurain, to have won both a Tour and the World Time Trial title. The IndependentWhen he lowers his lean frame onto his 3D-printed titanium handlebars on Sunday evening, Sir Bradley Wiggins will focus only on the black line ahead of him and the following 60 minutes. But if he and his hi-tech track bike succeed in riding further than 52.937km (32.89 miles), he will pedal into one of the richest and most romantic record books in sport. 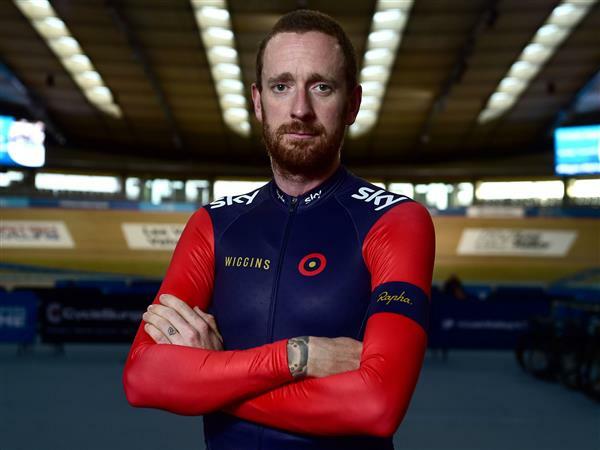 The IndependentA bullish Sir Bradley Wiggins admitted he was feeling the pressure to break one of the oldest and toughest records in cycling as he revealed the distance he hopes to achieve on Sunday. The Independent"Rider attention!" Inside the Olympic velodrome in east London, I am sitting on a bike that emerged, weeks ago, from the garage of its owner, who holds me upright for the countdown. "Five…! Four…!" Michael Hutchinson is an academic-turned-national cycling champion and writer. He also has an important place in the history of one of sport's greatest, yet – until now – least-celebrated world records. The IndependentWhen Sir Bradley Wiggins makes his bid to beat the Hour record on Sunday, if, as expected, he establishes a new maximum distance pedalled in 60 minutes, one immediate knock-on effect will be simple: Wiggins’ place amongst the legends of cycling will be even more strongly guaranteed. We're now less than an hour away from Wiggins's record attempt. 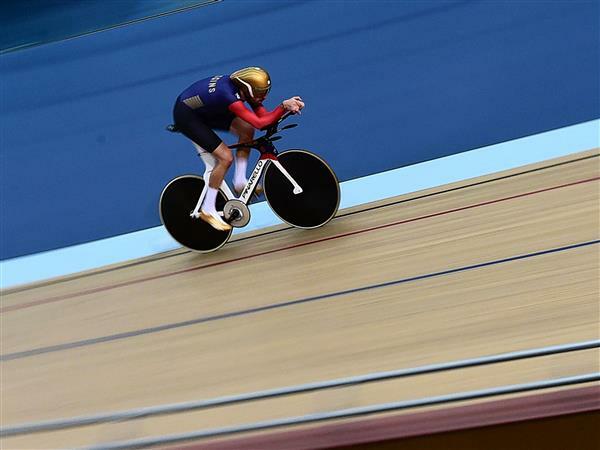 17minutes gone now and Wiggins has completed 62 laps, he needs 221 to break the record. I was never the best at maths so I've got no idea how many he'll get. Back in two minutes after consulting my abacus. Luckily, his speed just flashed up on screen and the gold medal winner is apparently just shy of 49 seconds in front of the record. That's 100 laps down for Wiggins and he's 1min 7 secs in front of Alex Dowsett's record, looking very good indeed. Wiggins has done 139 laps in 38 minutes now, coming up to a minute and a half in front of where he needs to be. Absolutely brilliant ride so far. A Mexican wave has started in the Velodrome and Seb Coe seems to be riding a static bike on the side. Unbelievably, Wiggins has actually increased his speed in the last couple of laps. Just over two minutes left. The record is his bar disaster. THERE IT IS! HE'S BROKEN THE RECORD! Still a minute and a half to extend his lead! There it is, all over - Wiggins absolutely smashed the record! He finished with about 218 laps, 212 more than the previous best. 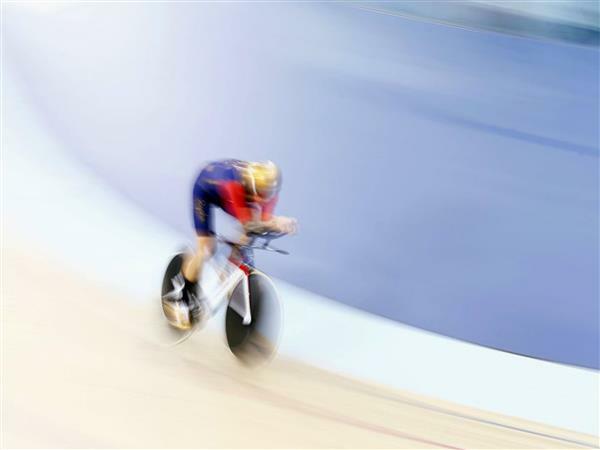 Dowsett's record was 52.937km - Wiggins posted a staggering 54.4km. Official distance just in - 54.526km. After hoisting his bike in the air, Wiggins embraces his wife and children (and looks absolutely knackered). A quick, hugely deserved, victory lap around the Velodrome now as well. Wiggins' coach is speaking now to Sky Sports: "I am over the moon says," Heiko Salzwedel. "I will share this memory for a long time. "I have never seen him fight so hard before. The plan went pretty well. We are learning all the time, Bradley is a different level of what I have experienced before." Asked if there'll be any regrets or if the record can be beaten again, he added: "No. It was sticky air and that makes a hell of a difference. He has pushed the boundary very far but not far enough." "I'm glad it's done," he says. "That's the closest I will come to knowing what it's like to have a baby. "It's tortuous. It's such a relief and was such a build-up. We've been through so much, my wife and children know so much about air pressure now"
"It's done now. I always compare myself to the greats and I am just glad to be in the company of those guys. To get up there and do that... to put yourself on the line takes a lot of courage and it's a mental game as much as anything." Asked where it ranks, he adds: "It tops it off. To do everything and come here as an old man, I had such great memories here as a kid and to come here... It's memorable." On the crowd, he says: "It's so difficult to block the noise out. They put a playlist of music together that I had to okay and I couldn't hear anything. "I thank everyone for coming and putting their hands in their pocket." That's all from us, thanks very much for joining us on this record breaking evening.